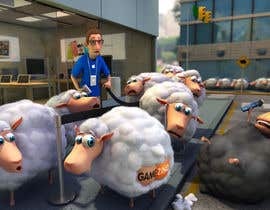 I need a funny image of iSheep waiting in line at the Apple store. The image can be done in 2D or 3D, and should have the name "Gamezino" somewhere in the image. Thanks for your help. What exactly you need.Let me know.The above 5 start was copy paste.I can give more images as you need.